The Punta Cana airport is approximately 30 minutes away from the resort. After securing your spot for Chillin' the Most Island Jam, your next step is to book your flight to Punta Cana! The festival begins on May 6th and ends on May 10th. Flights are not included in your Chillin' the Most Island Jam package but we will collect your flight information closer to the event to arrange ground transportation. Airport shuttles are included in your Chillin' the Most Island Jam package. Upon arrival at the Punta Cana International Airport, you will be seamlessly transported to our gorgeous resort. Sixthman will be requesting your flight details in the coming months to coordinate ground transportation. Note that shuttle transportation is ONLY included for guests arriving on Sunday, May 5th or Monday, May 6th and/or departing on Friday, May 10th or Saturday May 11th. Please note: In order to ensure a smooth shuttle experience for everyone, all guests will be provided a deadline by which your flight information must be submitted. Alternate transportation for guests not arriving the day before or day of the event and/or not leaving the of the event or the day after is available at Punta Cana International Airport (Taxi stand just outside of arrival). Or, if you're staying at the Hard Rock for your additional nights in Punta Cana, you can also email their Transportation Department at transferpc@hrhcpuntacana.com to arrange your transportation! Interested in booking additional nights at Hard Rock Punta Cana before or after the event? Go here. If you are arriving in Punta Cana early and renting a car, parking is available at no additional cost. 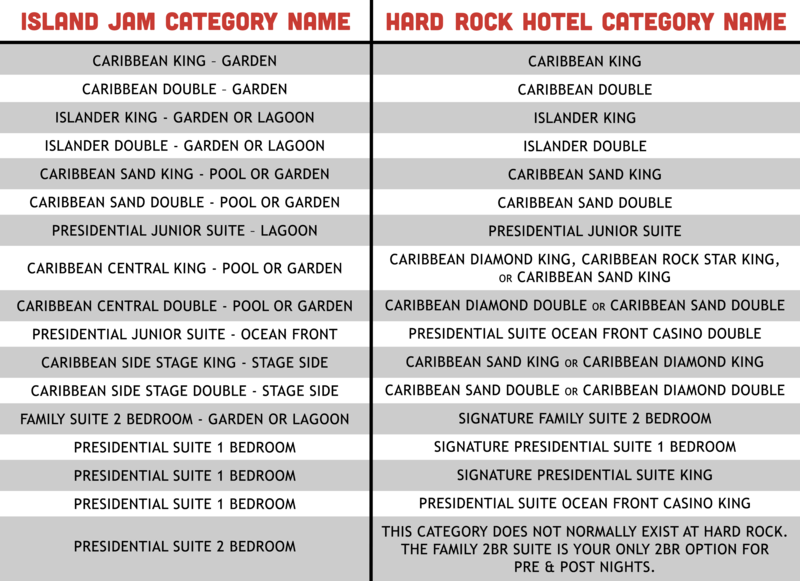 The option to extend your resort stay at Hard Rock Punta Cana is also available. Please tell us about your vacation plans by completing a short survey during the booking process. We will use this information to secure the best rates and process for reserving additional nights before and/or after the event. More details will be shared before the end of the year.